As a seasoned real estate investor or an investor-to-be, I’m sure you have come across your fair share of “Real Estate Millionaire Weekend Boot Camp” classes. I know I have. A handful of US-based classes are the first hits that you will find in Google searches. They make promises on how to become a multi-millionaire real estate investor over the weekend by using other people’s money (OPM) to buy properties with 0% down. Well, let me save you the $10,000 class fee by saying that it’s a COMPLETE waste of time, money and focus. It’s simply a very steep fee for not enough return on investment. I would highly suggest to pass on it. The Simple Secret – Let me tell you the single most important piece of information that they may never tell you at these real estate boot camps: The secret is to buy a property that pays for itself (i.e., where rental income covers all of the expenses). That, ladies and gents, is the bread and butter of real estate investing. Simple, right? There are a multitude of different methods and strategies for real estate investing that range in complexity and difficulty. But to this day, buy and hold is still the single most reliable way of investing and is the method which I recommend the most, especially if you are just starting out. Remember This – Generational wealth is created by TIME IN the market, and NOT TIMING the market. Nobody can predict what will happen to prices, and as much as I can gather data and am entrenched with the day-to-day trading of real estate, still, anything can happen (i.e., 15% foreign buyer tax). If anybody tells you to buy real estate because it’s simply “a good investment” and it “always goes up“, you should probably turn around and run the other way, as far as you can. What does make real estate as a great investment vehicle is that you have 100% control over the asset and it pays you in 3 different ways. You can read more about that in this insight article: Real Estate Investing 101. The first principle is cash flow (a.k.a., the rental income covers all of the expenses). Allow me to elaborate on why this is important when evaluating your next investment property. Recalling the Financial Crisis – Back in Q3 of 2008 when the poop hit the fan with the financial crisis, We all know what happened to the price of real state in the US. 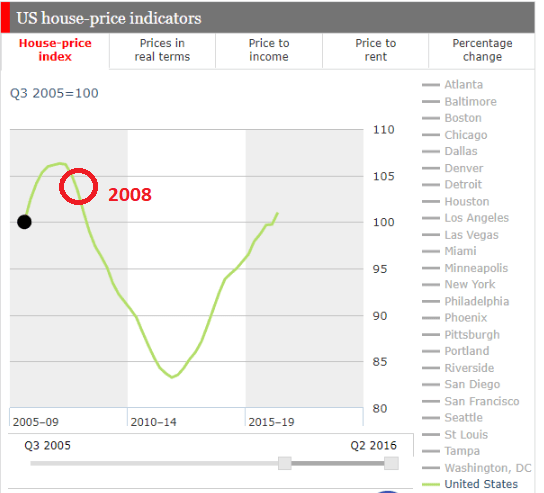 Chart A below shows this exact nose dive of real estate property prices. What do you think happened to rental vacancies when everybody decided to not pay their mortgages? Three months after the crash (i.e., the start of 2009) when the US government bailed out Wall Street, people started to default on their mortgages. As per Chart B below, the resulting impact on the rental market was a turning point for vacancy rates – it started to plummet to historical lows. This was the time when people no longer paid their mortgages, and instead sought a rental property to put a roof over their heads instead. Note that the lower the vacancy rate, the better as this means that there are less empty rental properties just sitting around. What do you think happened to rents when these vacancy rates kept dropping? Chart C below shows the rental rates during this same time period. 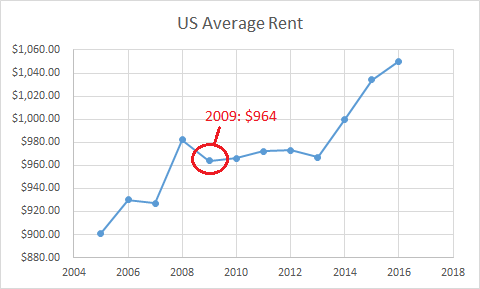 Rental rates definitely didn’t drop like the prices in the buy/sell market; in fact, they stayed fairly consistent! Caveat – Now, similar to the real estate boot camps, the above info is US-driven data and is not necessarily applicable to us in Toronto. However, it does give us a good indicator on how the market reacts and behaves, should Toronto ever experience a crash as significant as the US crash in 2008. What You MUST Understand – It doesn’t matter what happens to the price of your property as long as you buy a property that pays for itself. Even after a crash, the vacancy rates will decrease, rents will increase and your property will be filled. Over time, and because you have undertaken a buy and hold strategy, property prices will rebound. 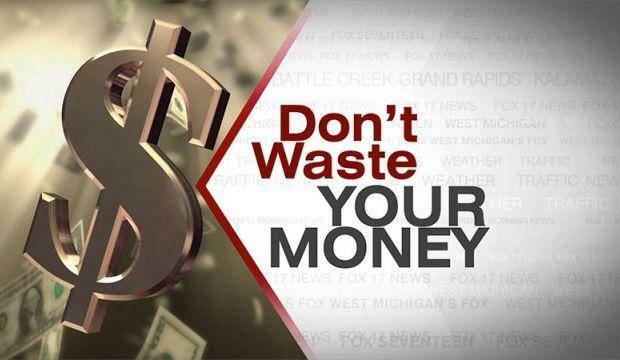 Even if your property is worth $1, as long as your tenant covers all of your expenses, you will survive the crash because you are not paying for anything out of pocket. There will be ups and downs in the real estate prices – I can almost guarantee you that. But as long as you buy a property that pays for itself, you’re well on your way to creating generational wealth. The Wrap – This is why it is of utmost importance to work with an investment-oriented realtor such as myself, Zhen, and not any just any realtor. Not all investment properties are created equal and frankly, some are just terrible. If you want to learn more about how and where to find the BEST investment properties, PPTO will guide you in the right direction and help you make your real estate goals and dreams come to life! Previous Previous post: The Market is Crazy – What Should I Do?! Fixed or Variable Rate Mortgage? 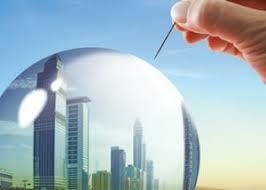 Next Next post: Real Estate CRASH – What Will Happen To My Mortgage? !